Lately a simple question has been coming to mind: just how did Mitt Romney get elected governor of heavily Democratic Massachusetts ten years ago? Romney could have run for governor of Utah instead, which would have been not only easier but would have spared us the egregious Jon Huntsman. Saying that he ran as a moderate, pro-choice Republican is not a fully adequate explanation. Nor is a weak Democratic opponent (Shannon O’Brien), or the strange fact that Democratic Massachusetts had elected three Republicans in a row before Romney. If anything that made it an even harder race to win. Now, you can paw through the record of that campaign, where among other things early Democratic mistakes in their attacks on Romney backfired (sound familiar?). 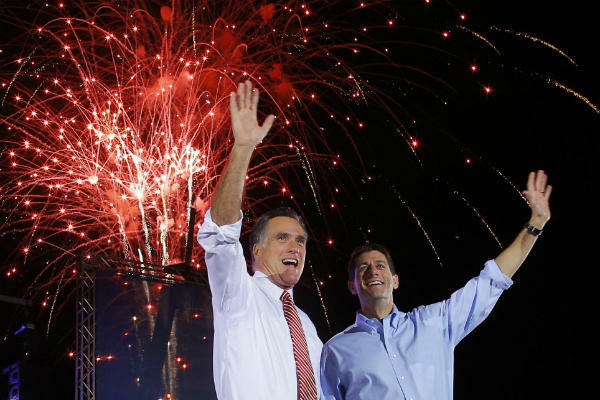 Romney still trailed in the polls throughout October, but ended up winning by five points. How come? At the end of the day enough independent voters and Democrats found Romney appealing, just as independent voters and many Democrats always found Ronald Reagan appealing in his governor’s races in California. Reagan usually ran ahead of his polls, too. Both Reagan and Romney are what common sense observers might call “voting booth” candidates—people that you end up being comfortable voting for when you walk into the booth still slightly doubtful about the choices. I expect that Romney will win any state where good polls show him running even with Obama over the last weekend. Every campaign, of course, believes it’s going to win. Obama’s team, however, conveys such a visceral sense of self-confidence that even protestations to the contrary take on air of comically profane absurdity. . .
That’s Axelrod’s understated way of saying—feet-up-on-the-desk protestations notwithstanding—that he thinks the election is already over. . . In Chicago, talk of unexpected events toppling Obama’s path to reelection are largely cursory. This nonchalance, by the way, is said to perturb the Windy City’s mayor, and former Obama chief of staff, Rahm Emanuel, who frequently warns that the president’s popularity is “defying gravity” and that the campaign must ward against its tendency toward all-knowing arrogance.